Our heritage is Italian, so we are passionate about family and food. With Blackwood Valley Beef, we combine both. Our family has been raising cattle in Western Australia since 1920. While our herd has moved from the market gardens of Osborne Park to the fertile pastures of the Blackwood Valley, the way they’re raised is virtually unchanged. Great-grandfather, Giovanni Pensini, followed Slow Food principles before the term was coined. 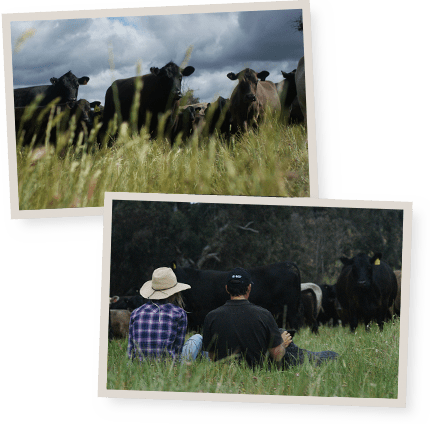 We uphold them by ensuring our cattle are hand selected, exclusively grass-fed and raised in a low stress environment on our Australian Certified Organic farm. Artificial growth hormones and antibiotics are unheard of. Not only do they live a good life, they live a much longer life than standard beef animals, allowing more time for natural flavours to develop. Flavour and tenderness are further enhanced with extended dry aging. Apart from tasting better, grass-fed beef has higher levels of good Omega 3 fatty acids and lower levels of not so beneficial Omega 6. We’re immensely proud of the organic premium beef we produce. Enjoy sharing it with your family. V&V Walsh, based just out of Bunbury in WA’s South West, process Blackwood Valley Beef for our export customers. A fully export accredited and certified organic processing facility, V&V Walsh also have the ability to process and export chilled beef into China. We look forward to working closely alongside V&V Walsh as we steadily increase ours sales into premium export markets. 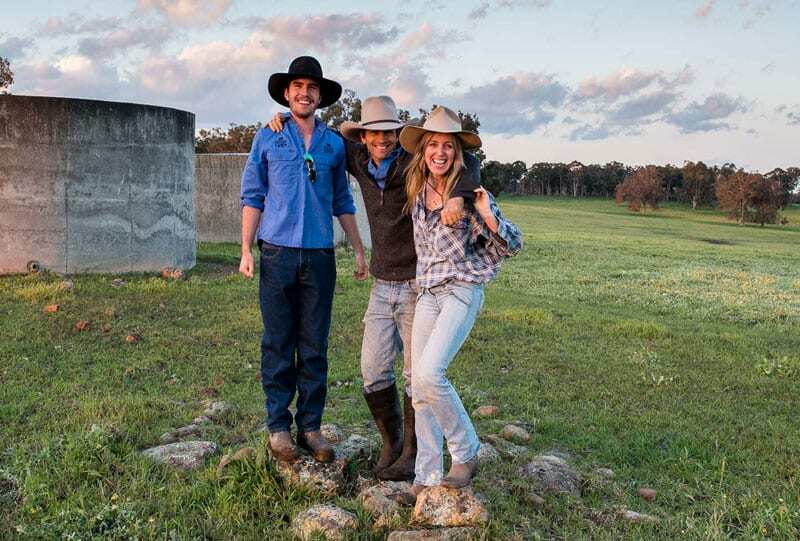 As a means to increase the availability of Blackwood Valley Organic Beef we have formed an alliance with Mark and Karen Forrester of Kanandah Station to supply us with premium quality certified organic Murray Grey steers and heifers, that we will finish off at our Boyup Brook property. Kanandah Station is a 3 million acre property located 350km east of Kalgoorlie on the expansive Nullabor Plain, so you wouldn’t get any more ‘free range’ than these cows! While this environment of natural grasses and bush vegetation provides an excellent place to grow cattle, they are not always in the position to fatten their cattle to supreme eating quality weights. When the cattle reach a certain weight on Kanandah we bring them to the lush pastures of the Blackwood Valley to finish off as prime quality grass-fed organic beef.